01. Refrain from sleeping between fajr and Ishraq, Asr and Maghrib, Maghrib and Isha. 03. Do not sleep between people who talk bad before sleeping. 04. Don’t eat and drink with your left hand. 05. Don’t eat the food that is taken out from your teeth. 06. Don’t break your knuckles. 07. Check your shoes before wearing it. 08. Don’t look at the sky while in Salaat. 09. Don’t spit in the toilet. 10. Don’t clean your teeth with charcoal. 11. Sit and wear your trousers. 12. Don’t break tough things with your teeth. 13. Don’t blow on your food when it’s hot but u can fan it. 14. Don’t look for faults of others. 15. Don’t talk between iqamath and adhan. 16. Don’t speak in the toilet. 17. Don’t speak tales about your friends. 18. Don’t antagonize your friends. 19. Don’t look behind frequently while walking. 20. Don’t stamp your feet while walking. 21. Don’t be suspicious about your friends. 22. Don’t speak lies at anytime. 23. Don’t smell the food while you eat. 24. Speak clearly so others can understand. 27. Don’t be proud of yourself. 28. Don’t be sad about your food. 30. Don’t chase the beggars. 31. Treat your guests well with good heart. 32. Be patient when in poverty. 33. Assist a good cause. 34. Think of your faults and repent. 35. Do good to those who do bad to you. 36. Be satisfied with what you have. 37. Don’t sleep too much – it causes forgetfulness. 38. Repent at least 100 times a day (Istighfaar). 39. Don’t eat in darkness. ‘Send to others to remind them’. —————————————- -May Allah bless you…! Aameen. Why do we sleep in the masjid but stay awake in parties? ——————————————-Why is it so hard to talk to Allah but so easy to gossip? —————————————— Why is it so easy to ignore a Godly text message but re-send the nasty ones? —————————————–Are u going to send this to ur friends or are u going to ignore it? If each muslim says astaghfirullah wa atubu ilaih 3 times now and forward, in a few seconds billions will have said it and You’ve got nothing to loose so pass on…..
“The Prophet (sal Allahu alaihi wa sallam) saw a man drinking standing up. The Shaytaan drinks with a person if he drinks standing up. When a person lies, the angels flee a mile away from him on account of the odour coming out from his mouth. The portrait we have of Uthman is of an unassuming, honest, mild, generous and very kindly man, noted especially for his modesty and his piety. He often spent part of the night in prayer, fasted every second or third day, performed hajj every year, and looked after the needy of the whole community. 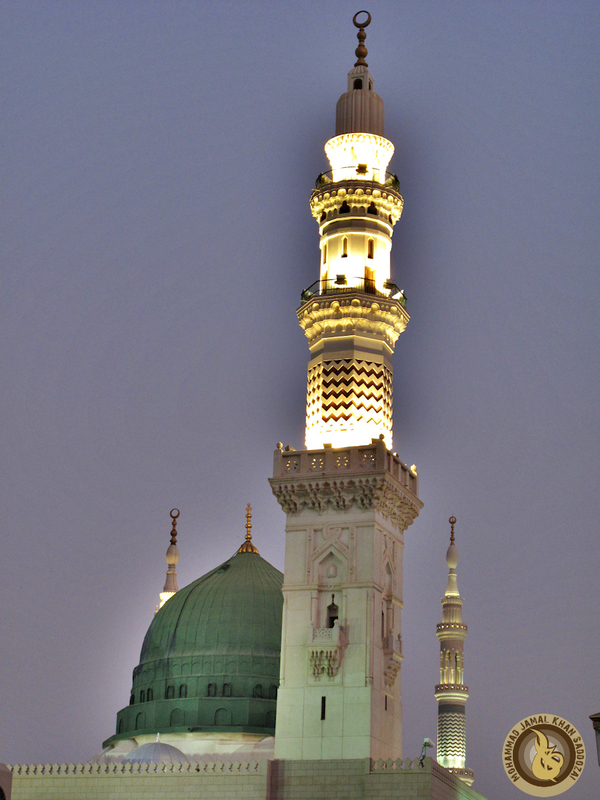 In spite of his wealth, he lived very simply and slept on bare sand in the courtyard of the Prophet’s mosque. Uthman knew the Qur’an from memory and had an intimate knowledge of the context and circumstances relating to each verse. During Uthman’s rule the characteristics of Abu Bakr’s and Umar’s caliphates – impartial justice for all, mild and humane policies, striving in the path of God, and the expansion of Islam – continued. Uthman’s realm extended in the west to Morocco, in the east to Afghanistan, and in the north to Armenia and Azerbaijan. During his caliphate a navy was organized, administrative divisions of the state were revised, and many public projects were expanded and completed. Uthman sent prominent Companions of the Prophet (peace be on him) as his personal deputies to various provinces to scrutinize the conduct of officials and the condition of the people. When ‘Umar fell under the assassin’s dagger, before he died the people asked him to nominate his successor. ‘Umar appointed a committee consisting of six of the ten companions of the Prophet (peace be on him) about whom the Prophet had said, “They are the people of Heaven” – Ali, Uthman, Abdul Rahman, Sa’ad, Al-Zubayr and Talha – to select the next Caliph from among themselves. He also outlined the procedure to be followed if any differences of opinion should arise. Abdul Rahman withdrew his name. He was then authorized by the committee to nominate the Caliph. After two days of discussion among the candidates and after the opinions of the Muslims in Medina had been ascertained, the choice was finally limited to Uthman and Ali. Abdul Rahman came to the mosque together with other Muslims, and after a brief speech and questioning of the two men, swore allegiance to Uthman. All those present did the same, and Uthman became the third Caliph of Islam in the month of Muharram, 24 A.H. Though Jesus is mentioned by name in twenty-five places in the Holy Quran he is also addressed with respect as: “Ibne Maryam” – son of Mary; as Masi (Heb) Messiah – translated as Christ; “Abd-ullah” servant of Allah; “Rasul -Ullah” – Messenger of Allah. He is spoken of as “the word of God”, as “the spirit of God”, as a “Sign of God”, and numerous other epithets of honor spread over fifteen different chapters. The Holy Quran honors this great Messenger of God, and over the past fourteen hundred years Muslims continue to hold Jesus as a symbol of truth. Jesus is commonly considered to have been born on the 25th of December. However, it is common knowledge among Christian scholars that he was not born on this day. It is well known that the first Christian churches held their festival in May, April, or January. Adonis, revered as a “dying-and-rising god” among the Greeks, miraculously was also born on the 25th of December.The ceremonies of his birthday are recorded to have taken place in the same cave in Bethlehem which is claimed to have been the birth place of Jesus .